Have you ever heard about the Cone Pizza? 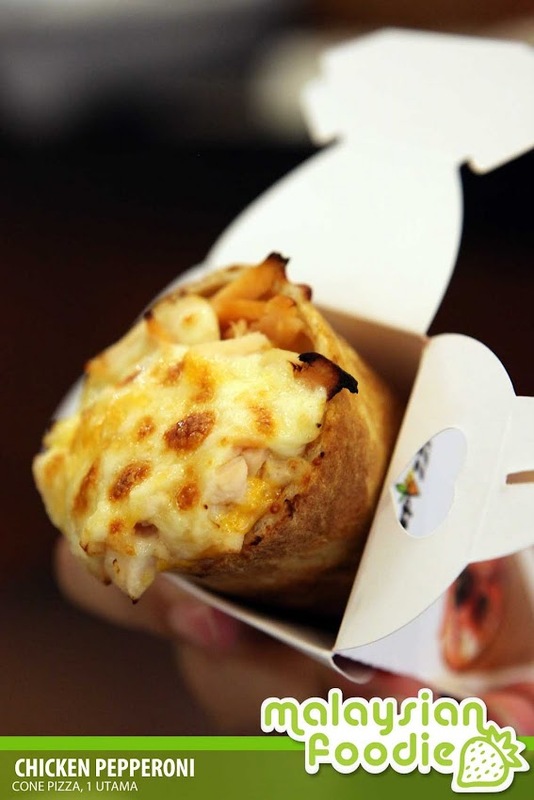 cone Pizza had made its door to the shopping malls in 1 Utama where you can have your pizza in cone. Pizzas here are no longer baked in its conventional manner. I and having all the way when you shop like having ice creams. The pizza is simply special which is served in cone. 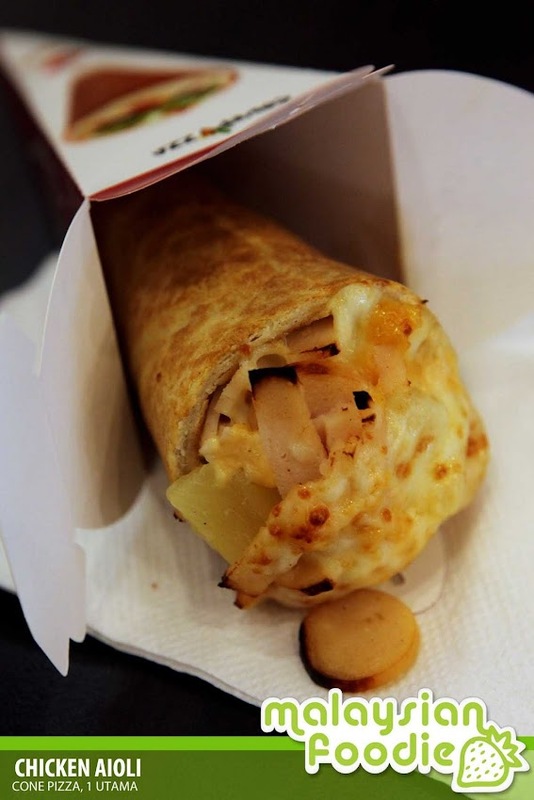 Chicken Aioli is one of the famous items where the cone pizza is served together with chicken ham, sausage, pineapple. It is then added with their Pepper Aioli Sauce and Cheese. Next we ordered the Classic Pepperoni where the classic Pepperoni comes with the Authentic Italian Tomato Sauce which comes in beef or chicken.